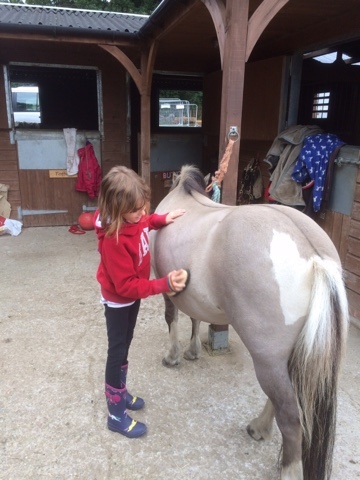 Grotbags is always happy spending time with the ponies, riding isn't just about riding horses it's about giving them the love and attention they need. What a beautiful caring photo, is this your pony? One dedicated young lady, looks like she is a natural horse whisperer. Aww, what a lovely photo. Looks like they are both enjoying it. Mine like the grooming too. A beautiful photo... caring for an animal is a great responsibility for a child.